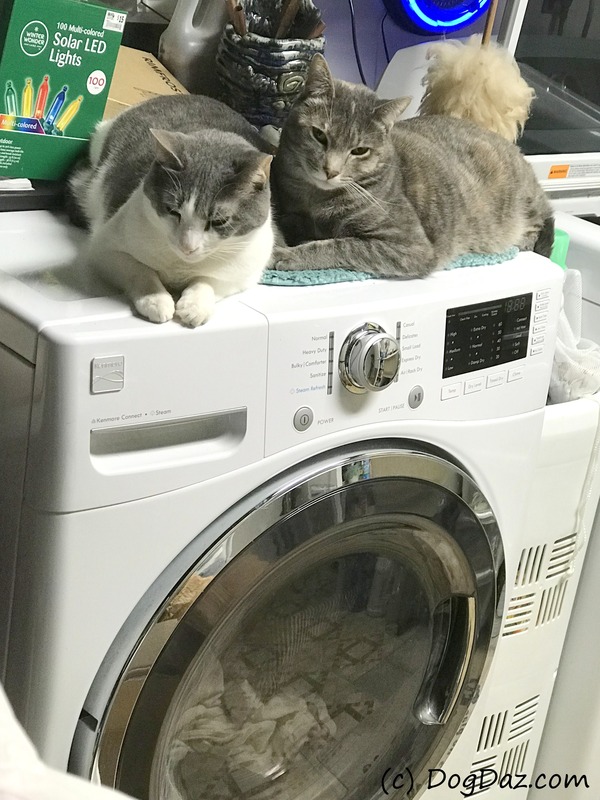 Is it the tumbling motion, the vibration, or maybe the heat that Nine and Mini like so much on top of the dryer? Thanks. We love being cool cats. The heat. Each morning when I visit my bathroom upon returning I find my cat lying on the place I have been lying on … she did not want to waste the warmth, it seems. They are heat seeking furmissiles.